Just Listed :: Stunning Townhome in Brookwood Place! 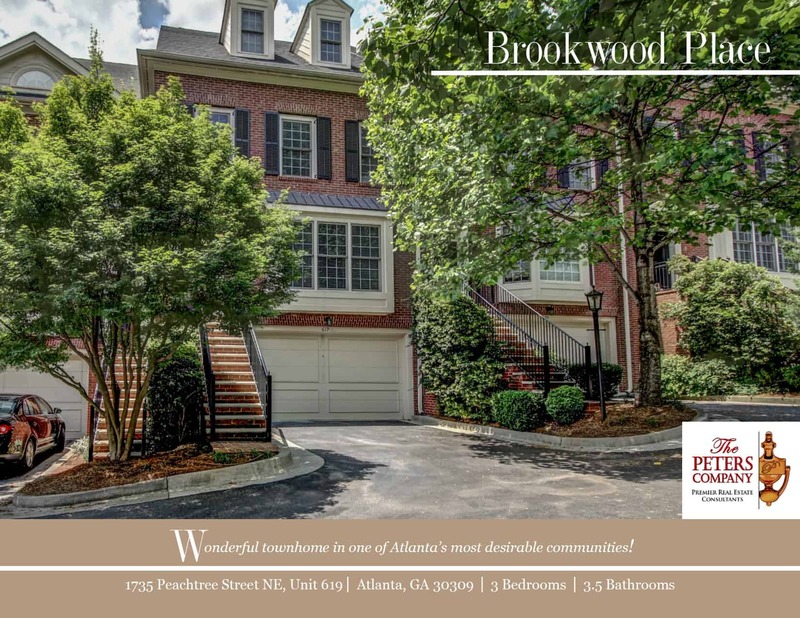 Welcome home to this wonderful townhome located in the popular Brookwood Place community. The floor plan, custom features, and charming character of this townhome will never go out of style. Convenient to Midtown and Buckhead’s finest attractions, you will be in the middle of it all including prestigious shopping, award-winning restaurants, exciting nightlife, and only minutes to Piedmont Park! Easy access to Peachtree Street, I-85, I-75, and GA400 makes virtually all commutes a breeze. · Kitchen features granite counters, tons of cabinet space, under cabinet lighting, pantry, and island with breakfast bar. · The spacious living room has a cozy gas fireplace and wonderful built-in bookcases. · The separate dining room is perfect for entertaining guests. · Master suite is a true retreat complete with a trey ceiling, large walk-in closet, and spa-like master bath with a double vanity, and separate tile shower with dual shower heads. · Additional upstairs bedroom is well-sized and bright with easy access to the hall bathroom. · A loft/landing area on the second floor is ideal for a home office or sitting area. · Laundry is conveniently located upstairs. · A third floor bonus space would be ideal as a media room, 4th bedroom, playroom, etc. · A lower level bedroom and full bathroom are ideal for guests. · The patio is great for outdoor enjoyment. Four-legged friends will love having a grassy area to play in out back. · Garage easily fits two vehicles with extra space for storage. · Wonderful community amenities include 24/7 concierge, gated access, on-site property manager, a well-maintained pool with grilling area, fitness center, media room, conference room, and library. ← Just Listed :: Gorgeous Traditional in High Point!